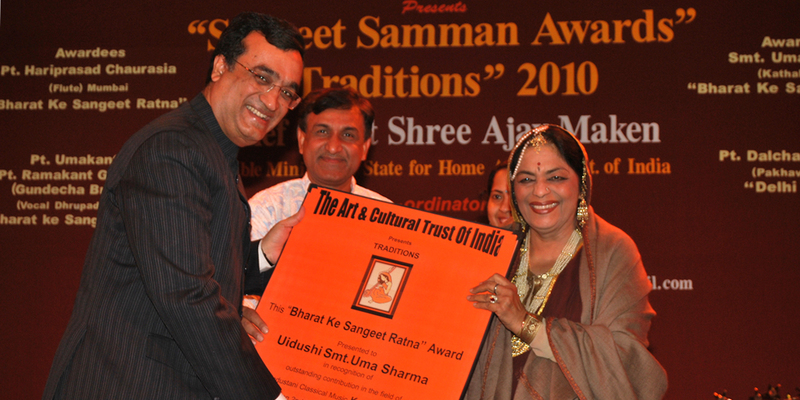 In recognition of her contribution to the fine art and has recently received the Doctorate from Utkal University, Orissa in January, 2012 for her life time contribution to the field of Indian Classical Dance. “There’s language in her eye, her cheek, her lip Nay, her foot speaks, her wanton spirits look out at every joint and motive of her body, Her body attitudes and movement of arms evoke the contours of miniature painting, and with her soft, rhythmic foot work, she writes love poems on the stage”. By Eminent Writer/Journalist (Khushwant Singh).